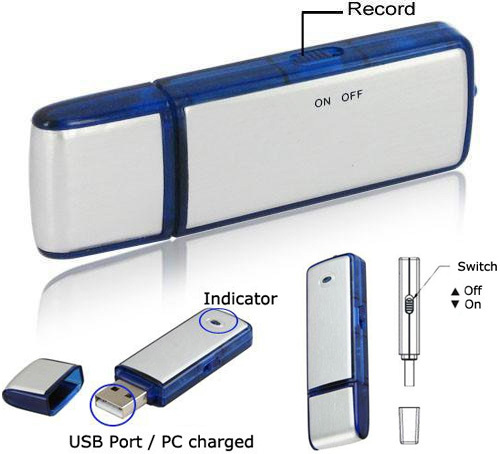 Sound Recording USB Flash Drive Has Me Suspiciously Eyeing A Mountain Of CES Press Kits | OhGizmo! ← Sony Announces Their New ICZ-R50… Radio Recorder? Awesome piece of gadget. Nobody will ever suspect that you are recording your conversation, even if you put it on the table. And for that 16 foot range, the microphone is very powerful. Would like to have this one on my list.